The southern part of Bonaire is dominated by salt production. 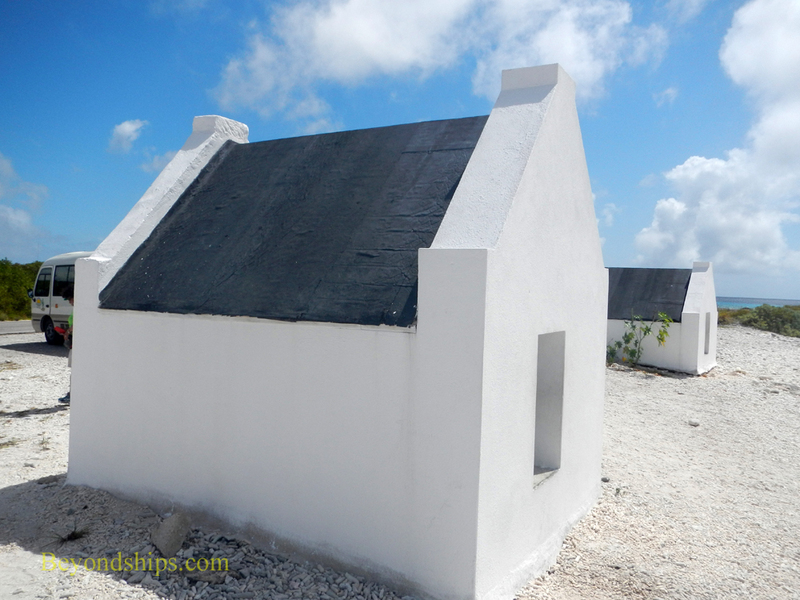 Its flat salt pans and ponds were what attracted the Dutch to colonize the island. After slavery was abolished in 1863, the salt industry in Bonaire declined. 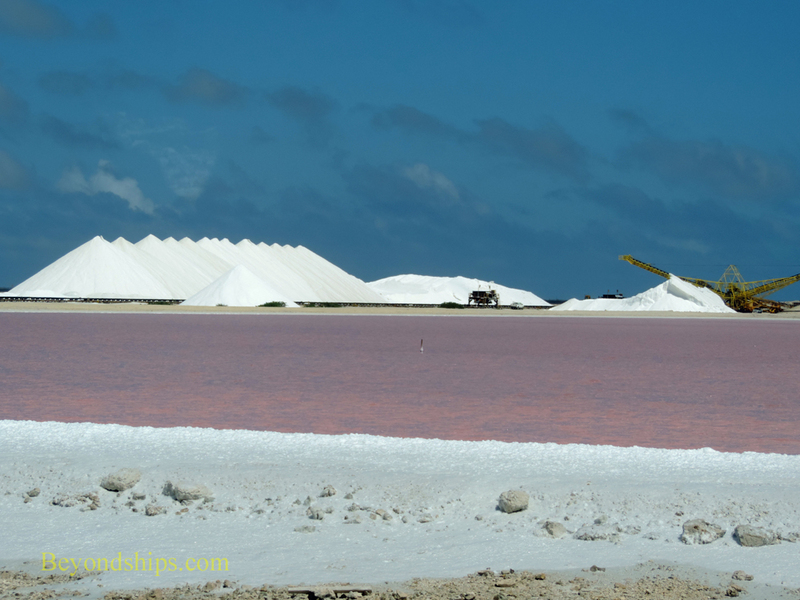 But in the 1960s, the Antilles International Salt Company developed a new way to produce salt on Bonaire and salt production once again became significant. Today, the salt production is done by Cargill Corporation. Large white pyramids of salt crystals dominate the landscape. These contrast with the surrounding pink salt ponds, which are pink because of the millions of rosy brine shrimp that live in the waters. Along the shore in the salt producing area are clusters of small structures that are relics of the way salt once was produced in Bonaire. They are so small that at first glance might be mistaken for playhouses. However, these were actually slave accommodations. In the 18th century, the enslaved people who worked the salt mines slept in these structures during the work week. On weekends, they were allowed to walk seven miles to the village of Rincon to see their families. Then on Sundays, they had to walk back. Some of these structures have been preserved. Visitors can walk around them and look inside. 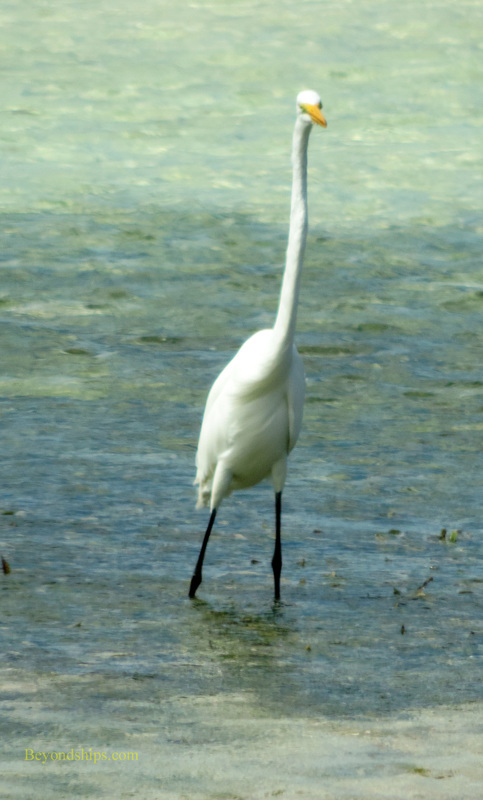 Within the salt producing area is the Bonarire Flamingo Reserve. This is said to be one of four places in the world where flamingos breed. 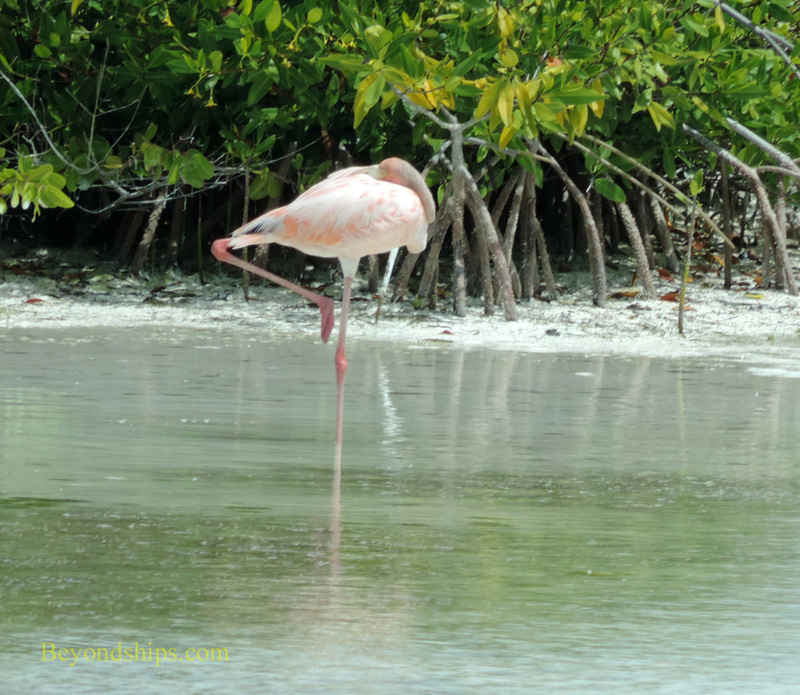 In theory, some 10,000 flamingos frequent the sanctuary. However, they are not always home and so there are times when only a handful of birds are visible. 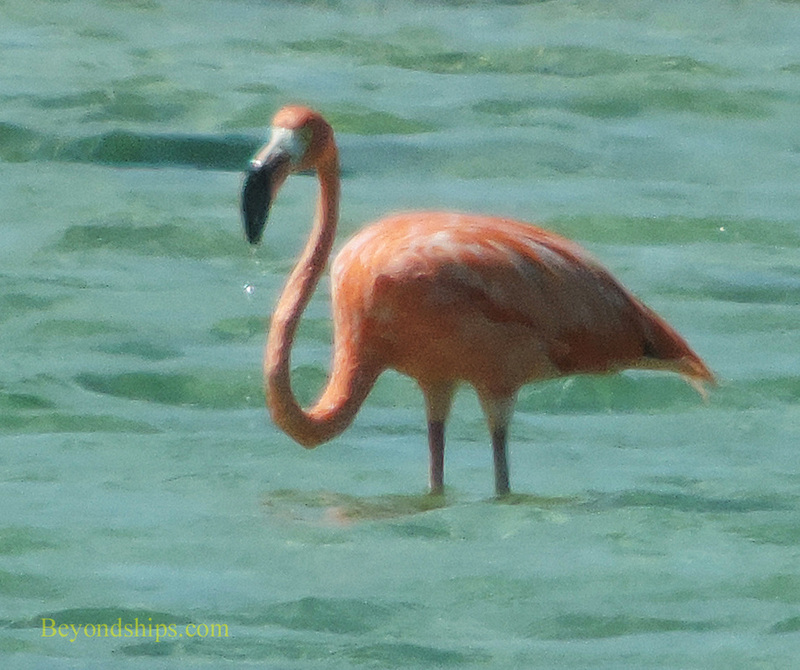 January to June is prime flamingo season. Visitors cannot enter the sanctuary by law. But the area is quite flat and so birds can be seen from the adjoining roads. A good telephoto lens or binoculars can come in handy. Above: Restored slave quarters by the salt flats. Above: In addition to flamingos, other exotic birds frequent the Flamingo Sanctuary. 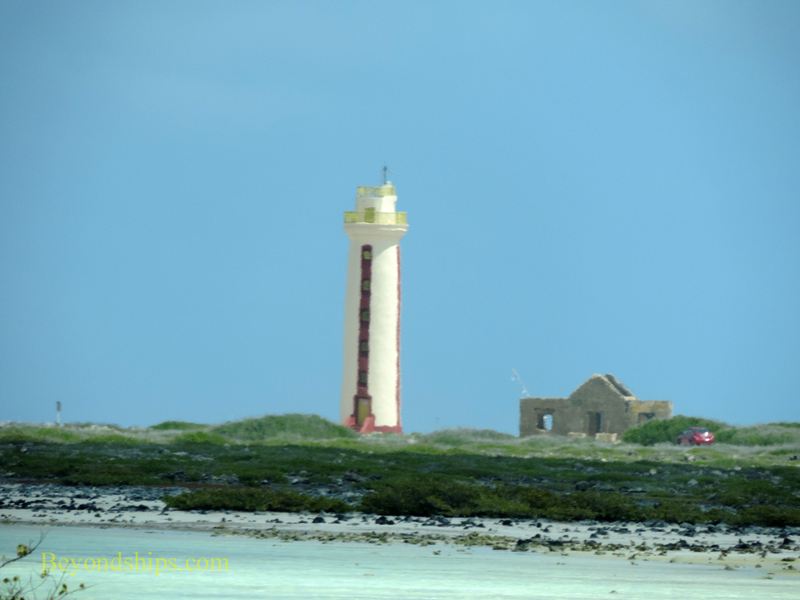 Below: Lacre Point Lighthouse at the southern end of Bonaire.